Day 15 of the Heapnose Perfume Diary. 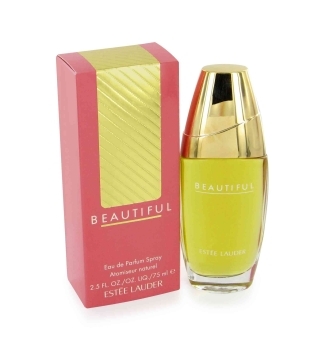 Today I’m wearing “Beautiful” by Estee Lauder. So here’s the challenge Estee. I don’t mind telling you that I’ve put on 9 pounds in the past few weeks. Which, allowing for my three flexi-pounds, and two absent boyfriend pounds means I am still a full four pounds overweight. And in fact, given that my flexi-pounds aren’t even working at full capacity right now, since I’ve not yet hit the red wine this week, I could be as much as eight or nine pounds overweight. So until I get my excess, my flexi and my additional absent boyfriend pounds down to a reasonable level, Estee, I need you to make me Beautiful. Hells yes. This is a very floral fragrance. Fans of the tonka bean (Guerlain Lady) will not be disappointed, but there’s also a bouquet of other notes including lily, marigold, rose, tuberose, carnation, jasmine, lily of the valley, orange blossom, ylang-ylang, sage and thyme, all warmed by some rich woody base notes. She calls it the fragrance of a thousand flowers, others call it the fragrance of a thousand sneezes. I don’t care either way, I just want to feel Beautiful. And do I? Well, no not immediately but I do feel very very feminine. It’s nice to wear a floral fragrance that isn’t at all Spring-like – it’s rich, romantic and luxurious. I tried to get some ego-boosts from co-workers this morning by asking them to choose an adjective to describe me in a fragrant context. I was hoping for Beautiful. I was disappointed. In fact “definitely not pleasant”, “mental” and “like my mum” were the best the office had to offer. Gutted. I may not be Beautiful, but I’m surprised to say that i like this perfume. Or perhaps I just like Estee. She’s iconic in a Coco Chanel way without all the guff. (I should probably, at this point note that although the Estee Lauder brand name is not as relevant today as she once was, her sphere of influence is HUGE. 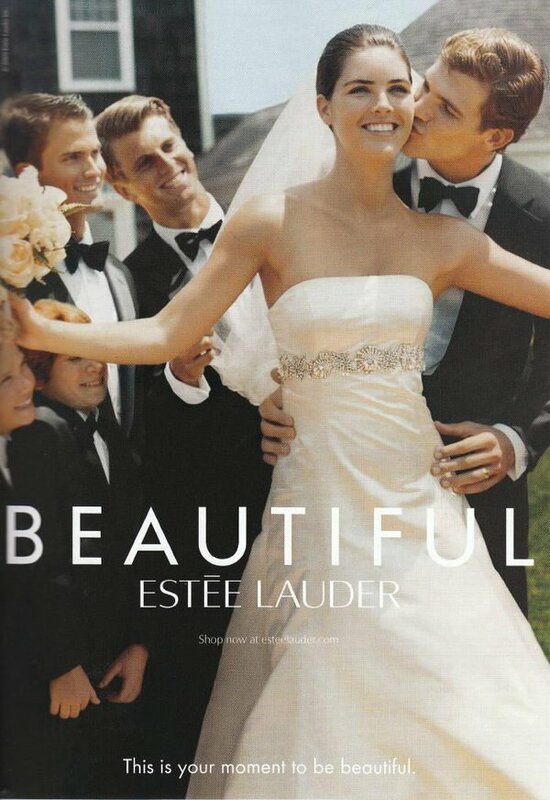 Estee Lauder owns, amongst others Jo Malone, Creme De La Mer, Bobbi Brown, Aveda, Clinique, Bumble&Bumble, Prescriptives, MAC, Origins and Michael Kors.) Yep, just because their spokesmodels are a bit nineties (Paltrow, Hurley I’m looking at you) Estee Lauder’s Empire still reigns supreme in the Cosmetics Halls. Even when you’re not wearing her, chances are, you’re wearing her. Plus she was the lady who first started distributing free samples of cosmetics. And for that, I salute her. If I were the sort to adopt a signature fragrance, Beautiful would certainly be in the offing. It goes with anything, can be worn in all seasons, and will also always be available but will never become the populist choice. I bet there’s always a good deal on gift sets at airports too, since it will never be super trendy, and hasn’t quite reached the “never on sale” states of Chanel. It lasts for ages, I don’t sound like a knobhead when I say its name, and although I may not feel Beautiful, I feel pretty damn good. Good size sample too. Nice one Estee. “There are no ugly women”. I concur, in respect of what’s on the surface. Although peel back the layers, and emotionally, there are several million hideous specimens! I had no idea I could reduce my excess weight thanks to flexi-pounds! And absent boyfriend pounds? I’ll get to gain those all the time, he’s always on the road! Thank you, Heapnose, you’ve made me feel Beautiful again. Hehehe glad I could help. Meanwhile HEAPNOSE update…An old bloke turned around on the bus yesterday and told me I smelled “Lovely”. Which isn’t quite “Beautiful” but it’s close. I hear beautiful people have tendency of leaving the lights on, because they are hard wired to believe that someone else will do it for them. I concur with G. A truer word rarely spoken.